NPN Darlington transistor in a TO-126; SOT32 plastic package. PNP complements: BDX45 and BDX47. â¢ Integrated diode and resistor. â relay and lamp drivers. 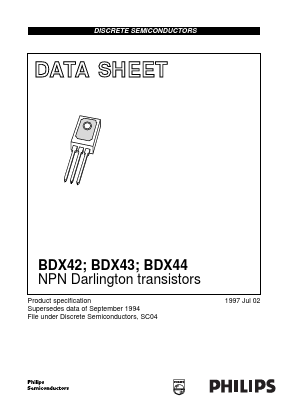 BCV29 NPN Darlington transistors View NXP Semiconductors. BCV27 NPN Darlington Transistors View Semtech Electronics LTD.